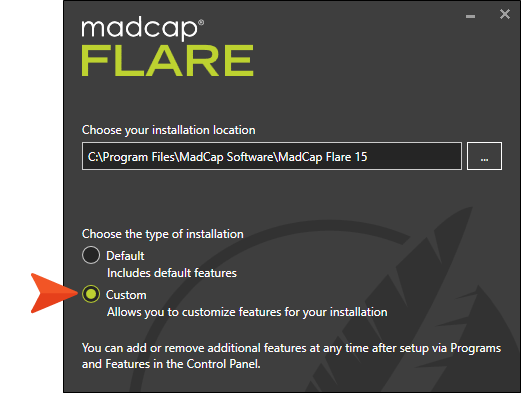 When it comes to adopting a single source workflow,MadCap Flare is a powerhouse tool. Content authors rely on Flare to help maximize the reuse of this source content, and to deliver the right content, to the right audience, in whatever format is needed — aka multi-channel publishing. >One such channel, which has been highly requested as of late, is Salesforce Knowledge. What’s tricky about Salesforce is that it makes it challenging to author and reuse content. Salesforce doesn’t provide a robust authoring platform nor does it make it easy to import structured content. Authors end up spending hours manually copying and pasting content from Flare (or another source) into Salesforce. More time is spent manually reformatting that content in Salesforce so that it respects the corporate styling that was so easily managed in Flare. If content is subsequently updated in Flare (which is often the case), then get ready to rinse and repeat all that copying, pasting and reformatting work. Salesforce administrators may also be tasked with the job, so finding a viable time-saving solution has been sought out from multiple departments within an organization. 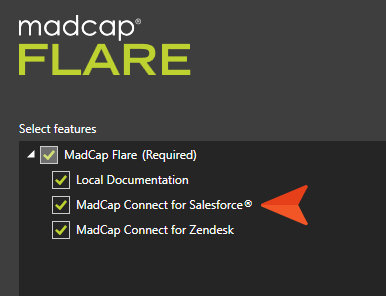 With the release of Flare 2017 r2, we introduced a new plugin called MadCap Connect for Salesforce, which enables Flare authors to publish single sourced content directly to Salesforce Knowledge. With the new plug-in, you can kiss those copying and pasting days goodbye. After you build your Clean XHTML target, Flare has to know where to publish the content. This is where the plugin comes in. To make the publishing of content to Salesforce possible, we extended the capabilities of the publishing destination feature in Flare. With this new integration, your publishing destination file will publish your Clean XHTML output directly to Salesforce as Articles. Now your Salesforce Community includes single sourced content directly from Flare. No copying, pasting, or reformatting required! When you create your Clean XHTML target, it is recommended that you enable the option “Convert stylesheet styles to inline styles,” which can be selected in the General tab of the Target Editor. This will ensure that your styling is maintained when you publish the Clean XHTML output to Salesforce. Another styling tip to avoid having to manually reformat things in SF: it is normally recommended that you set certain global properties (e.g., font size and type) on the body style in your stylesheet. That way, the settings trickle down to all of your other styles. However, the <body> tag will not be retained when you publish to Salesforce. Therefore, anything that you have originally set on your body style will need to instead be set on lower styles in the hierarchy (e.g., p, ul, div). In addition to having Salesforce Knowledge enabled, be sure you have rights to publish to Salesforce as well as at least one Article type with a Rich Text Field. 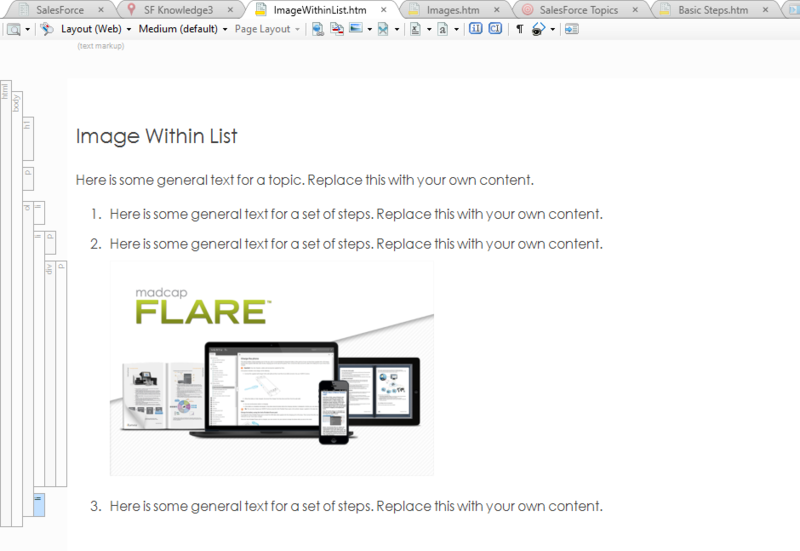 To learn more about Creating Publishing Destinations in Flare, visit the Help article here. 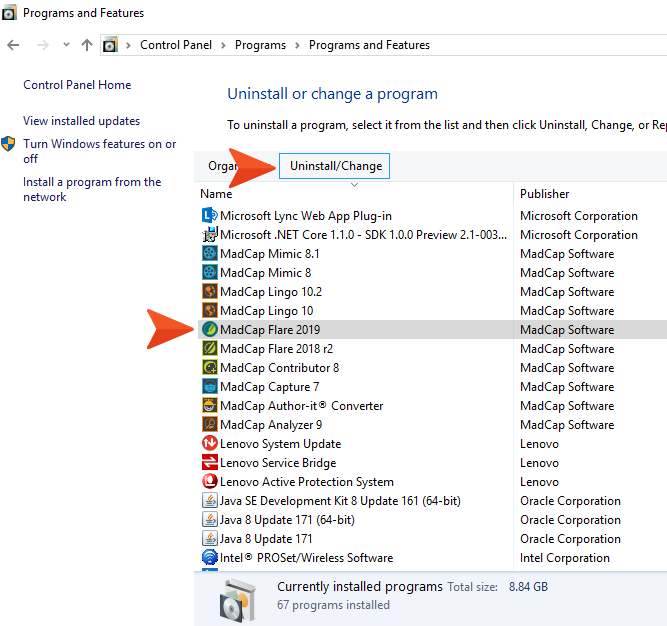 From the Windows Control Panel, look for Programs, and click “Uninstall a Program”. Don’t worry! You won’t actually have to uninstall. That’s it! Pretty straightforward. I encourage you to install this latest release and try out the MadCap Connect for Salesforce plug-in. It’s free for 30 days, and we’re happy to help answer any questions while you test the integration. 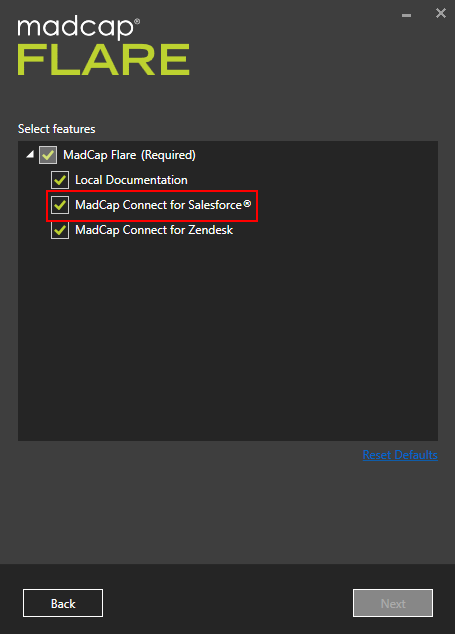 Note: MadCap Connect for Salesforce is integrated as an optional plug-in within Flare 2017 r2 and can be tested free for 30 days. The plug-in is sold separately and is licensed on an annual subscription basis per user. Pricing and licensing information can be found here. Contact us or download a fully functional 30-day trial of Flare here. Hi Matt! Thanks for your comment. I hope we can support additional plugins in the future. Does Service Now take in standard, clean HTML files? Perhaps the new clean XHTML output can get you most of the way there, by producing your single sourced topics that are free of any madcap tags. It’s an option for those who need to port their content into something other than a MadCap ecosystem. Hi Jennifer, Matt. I work for ServiceNow and have a customer also interested in a similar connector for SN. We’ve a well defined REST API that could be used to import the HTML content and meta data, tags etc associated with an article and publish to our KMS. Hopefully will get the chance to demo this the team there and if so, will publish to our Share site. Third! I am now at a company that uses Service Now and would like to be able to do the same. I think calling it a “fully functional” 30-day trial is disingenuous, since we can only publish 10 topics to Salesforce during the trial. You should also mention that there’s a 1 MB limit on images pushed to Salesforce, and that topics containing larger images will not publish at all unless you select the compression option that limits your entire help center output to 20 MB. Thanks for your comment, and that is a great point. I will edit my last sentence to clarify that the fully functional trial is for Flare, as the plugin is installed when you install the Flare trial. 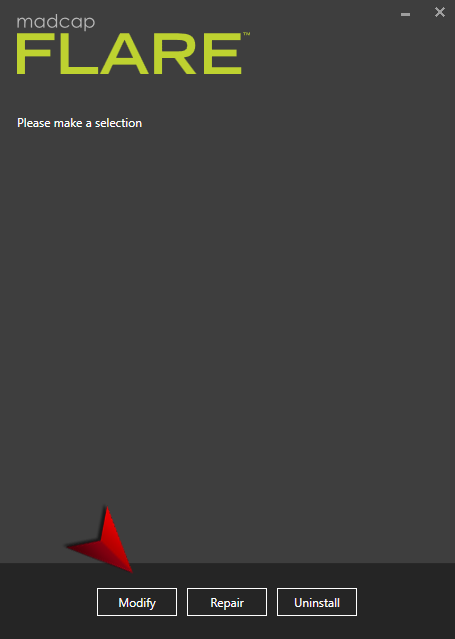 Also, you point out a good reminder of what folks should be aware of in terms of the image size limit Salesforce has. Thanks for the overview. In your instructions, you wrote, “With this new integration, your publishing destination file will publish your Clean XHTML output directly to Salesforce as Articles.” However, when we tested the integration we found that there’s a 1 article-to-1 publishing destination relationship. So if we have 800 articles in Salesforce, we must have 800 publishing destinations set up—a requirement that’s not sustainable for us. Was there an update/release to fix this or is this still the requirement? Hi Katrina, I agree, that doesn’t sound sustainable. Let’s take a look a look at your project and see what’s going on. Perhaps we can spot a setting and advise on a solution. I’ll send you a note. Thanks, David. Great ideas for some KB articles and future posts. I will send you a note, would love to connect about your questions. I am seeking advice on justifying the cost of Salesforce Connect. We currrently use Salesforce’s import capability to import Clean XHTML Articles created by Flare using a .csv and .properties file. We would be less reliant on the our internal Salesforce support so that is a plus, however, I am not sure I can claim time savings. How are you justifying the cost? Thanks for any ideas. 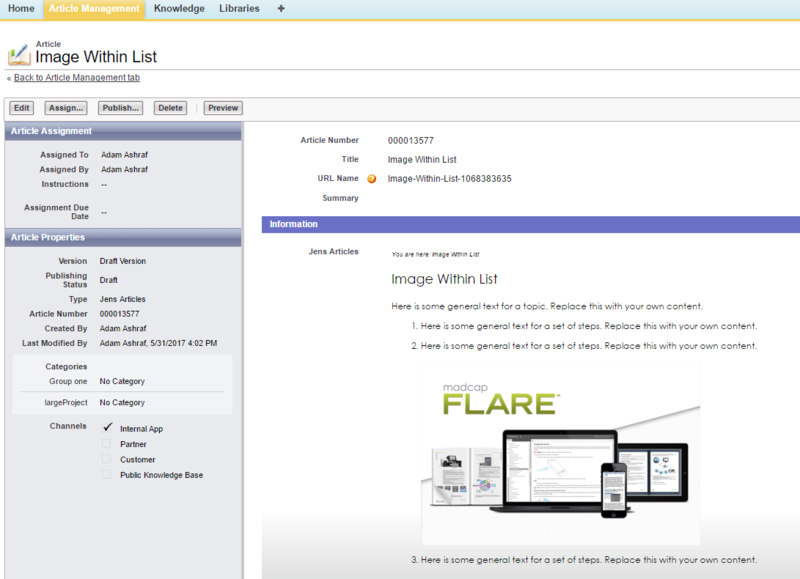 What happens to links between Flare topics when published in Salesforce? For example if I publish a Requirements topic in Salesforce that links to a Whitelisting topic not in Salesforce? Hi Ana, Flare will respect the link, and include that topic as an article in Salesforce. I was wondering if anyone has implemented, or is currently using, the Flare Salesforce Connect plugin with the new Salesforce Lightning Knowledge environment? I’m exploring structured authoring software, and I’ve used Flare before and would like to use it again. However, my company is pretty much exclusively developing content in Salesforce. Having seen first-hand some of the changes Lightning makes to SFDC (article types are replaced by a new object), I’m curious if MadCap has updated, or will update, the Salesforce Connector to work with Lightning Knowledge (which, admittedly, isn’t fully released as of this writing). We’d hate to explore the Connector route for it not to work with Lightning. (Expand ADDITIONAL NEW FEATURES, then expand SALESFORCE ENHANCEMENTS) Feel free to reach out if we can help as you test. Have there been any updates to mapping data categories during the import process? It would be fantastic to map Flare concepts to Salesforce data categories. Hi Amy, that feature is currently a feature request at the moment. We’ve added you to this request on your behalf – let us know if you have any other questions!